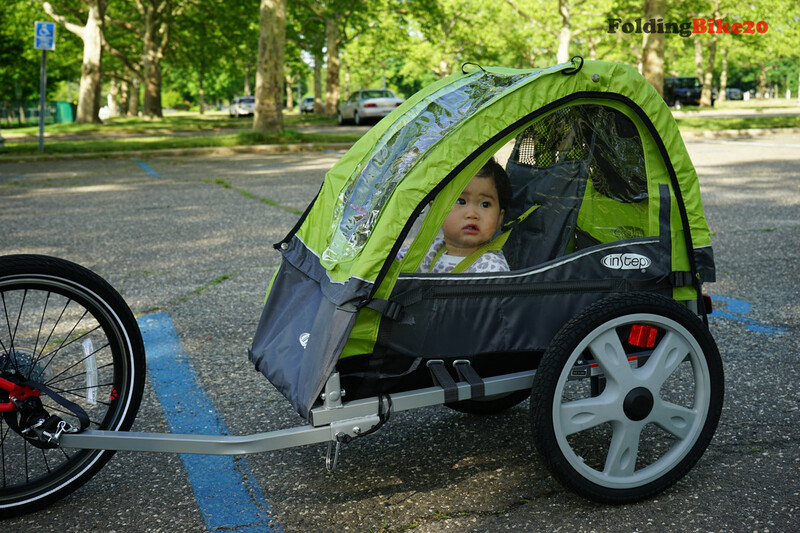 InStep Sync Single Bicycle Trailer Review - Safe Way to Carry Your Kid? 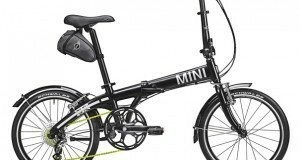 If you are using a bike with 20-inch wheels or larger, you absolutely can carry your baby with a Schwinn child carrier or a bike trailer. 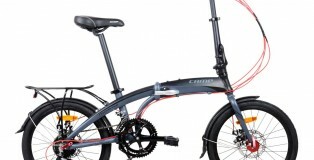 I’m using the InStep Sync Single Bicycle Trailer, let’s see if this could be suitable for you. 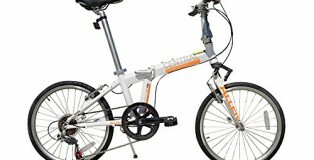 What I love about this InStep bike trailer is that it is very portable and you don’t have to sacrifice anything when you use it on a folding bike. 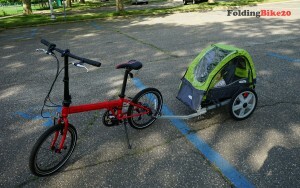 Both of the folding bike and trailer can be folded down for easy storage and transportation. That means I can store both in my car trunk or check them as baggage on your flight. This is really amazing, isn’t it? 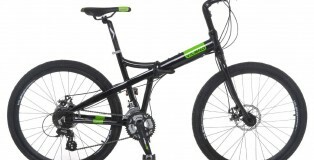 Cycling with your child has never been so simple and fascinating at the same time. Unlike child carriers which require some tools and time-consuming processes to attach to a bike, it often takes me just a couple of minutes to install the bike trailer. 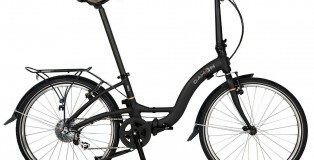 It is even easier if you are using folding bikes with quick-release wheels, like the Dahon Mu P8 as demonstrated in the videos. The trailer has been designed with users in mind. It will not take you too much time to unbox the trailer. 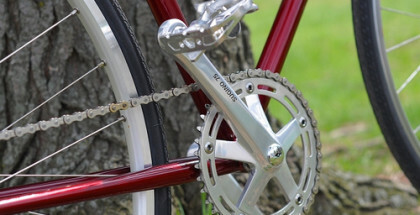 Then you will be able to attach the trailer to your bike within several minutes (even if you have never done this before). 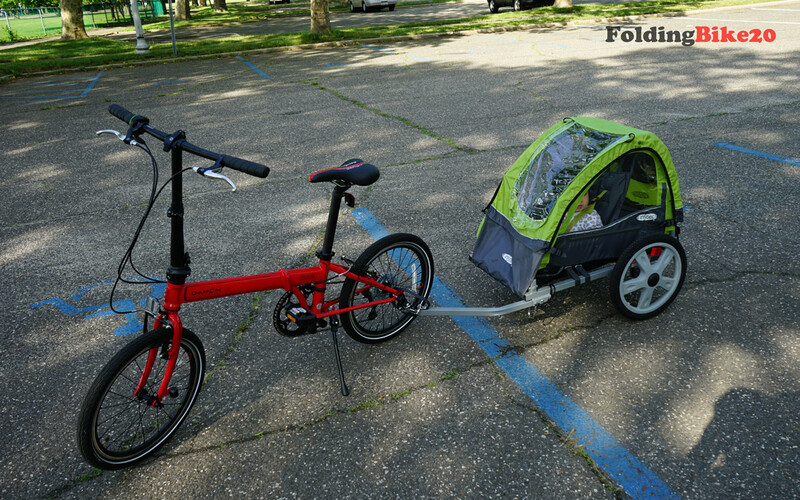 As the wheels of folding bikes are smaller than regular bikes, you might be wondering if the trailer is safe for your beloved baby. I tested it myself and don’t see any scenario it could fail. The frame is very sturdy, your baby sits steadily wearing seat belt, and there are bug screen and weather shield on the front canopy as well. Basically your kid is well-protected within the trailer. 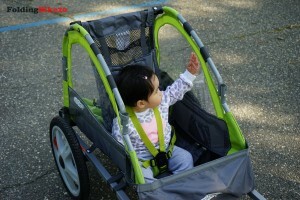 I often open the canopy, so my baby can see everything clearer and enjoy the environment around. 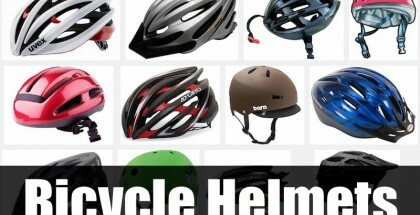 I really think all recreational cyclists should spend some time with their kids and this is must-have accessory. Trailer. 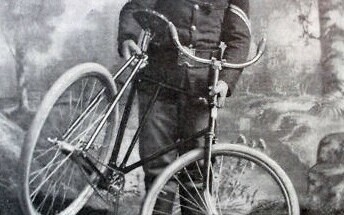 Your child will become a part of your cycling, experience new feelings and memorable moments. 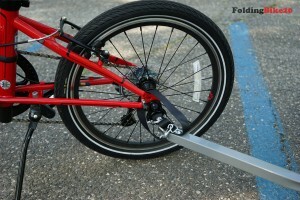 Traveling in a bike trailer will undoubtedly become a fascinating journey for your child. As you can see, there is no need to give up bike riding when you become a parent. The only thing that you need to remember is that choosing kid-friendly routes has to be your top priority. 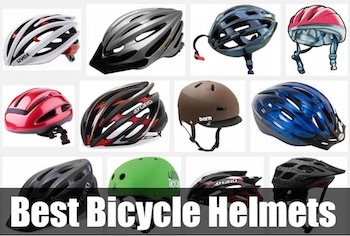 Try to find interesting places for cycling to keep your child entertained. Keep in mind that when your kids participate in your favorite leisure activity, they become emotionally closer to you. As a result, you will be able to build an unbreakable bond with your child. 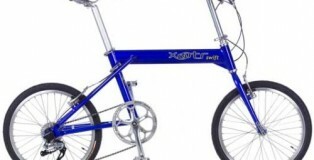 With InStep Sync Single Bicycle Trailer you will see that cycling can be great even for a young child. Overall, I think the InStep Sync Bicycle Trailer is a great choice if you want to spend some time with your children. In case you have more kids, you can get bigger trailers like the InSTEP Take 2 Double.